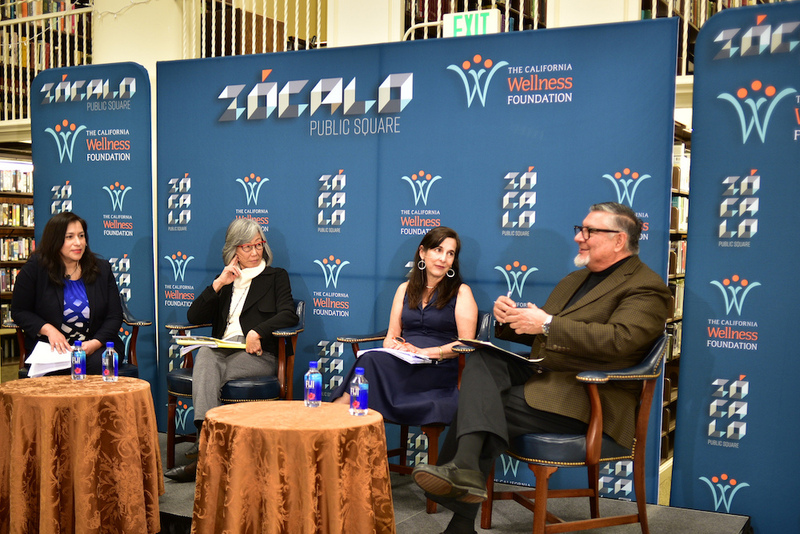 Immigrants bring cultural practices that could improve our health systems and the health of all Californians—if we do more to understand and deploy the advantages of cultural diversity, said a panel of experts on health and immigration at a Zócalo/The California Wellness Foundation event. 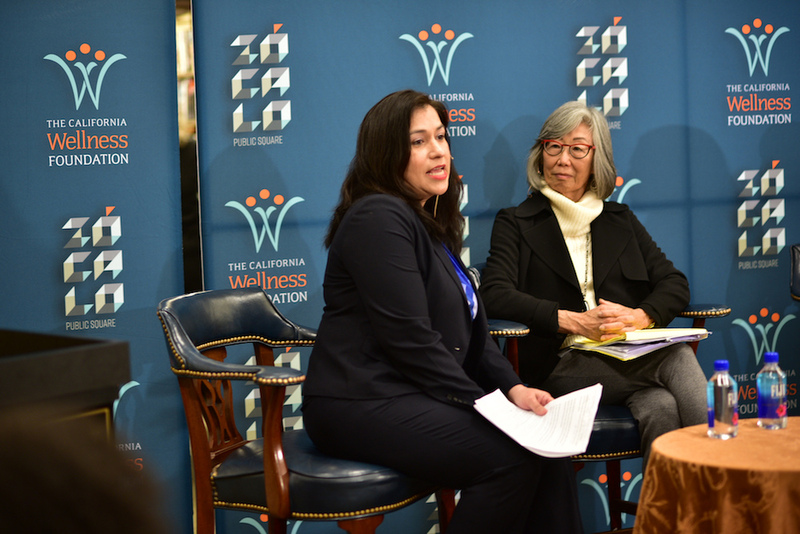 Those panelists—including top researchers and journalists—offered multiple examples of ideas that originated in immigrant communities that have made us healthier—from diet to exercise to an emphasis on family and social relationships. But they all pointed to one overarching conclusion: Immigrants often approach health together, with the participation of relatives and neighbors, instead of alone, as too many native-born Americans do. In the foreign cultures, “there’s this continuity and connectedness that’s fundamental to your being. You are never alone,” said UCLA medical anthropologist Marjorie Kagawa-Singer. “We’ve lost that here” in the U.S. 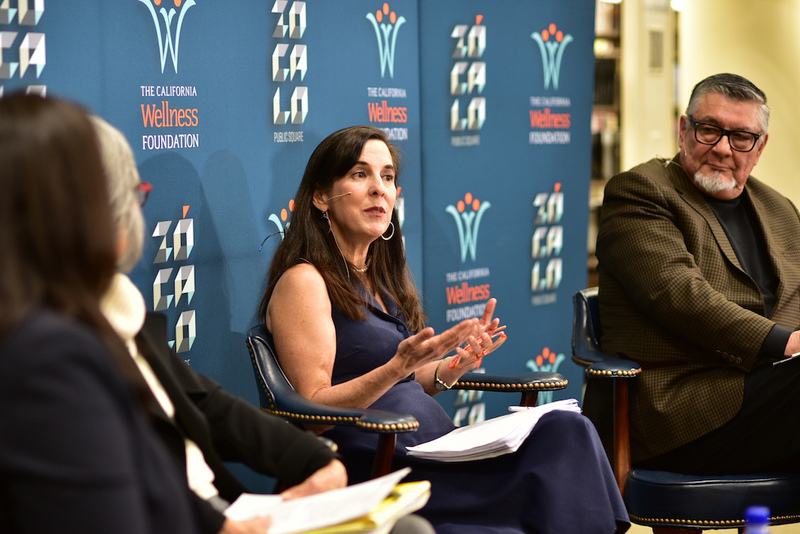 The moderator, CALmatters health and welfare reporter Elizabeth Aguilera, began the event, held in the library at the Mechanics’ Institute in San Francisco, by asking what has been learned and adopted from immigrant cultures. Journalist Claudia Kolker, author of The Immigrant Advantage, answered by citing a host of ideas. She said immigrants had taught Americans about the importance of post-partum care (which has been a higher priority in other cultures than in the U.S., where pre-natal health gets more emphasis), better ways of eating (she noted that Vietnamese culture makes meat a condiment, not the main course), and about seeing loneliness as a threat to health. “These are now medical ideas,” she said. Asked by Aguilera how we might change our approaches to health from the lessons of immigrants, Kolker pointed to two. First, she suggested thinking bigger and having bigger life goals, as many immigrants do, which may explain why immigrant groups in the U.S. have measurably better mental health. Second, referring to research from Rice University professor Utpal Dholakia, she suggested that thinking of your life as less of a highway and more as circle contributes to better planning and even more saving of money, which in turns aids health. Kolker also said that living with your grandparents, which is common in immigrant families, has cognitive benefits for children. And she said that understanding the importance of human touch is vital now, since Americans “as a society are touching each other less and less.” Many elderly patients are not touched at all, she said, even though we know from research and from other cultures that touch is good for our health. The U.S. system ends up dividing mental health and physical health, even though the experience of other cultures teaches us that mental and physical health are closely tied together. Dr. David Hayes-Bautista, director of the Center for the Study of Latino Health and Culture at UCLA School of Medicine, argued that more attention must be given to the health advantages of immigrants and Latinos. He talked extensively about what he called the “Latino epidemiological paradox”—that even though Latinos often have less access to care than other Americans at the same income level, Latinos have fewer heart attacks, fewer cancers, drink less and smoke less, and live 3 and a half years longer. “If everyone in the United States had the same profile” as Latinos, “250,000 lives would be saved,” he said. Hayes-Bautista has been investigating myriad possible reasons why Latinos do better—social networks, family, community support, diet, and even dance, music, and spirituality. But, he cautions, instead of doing more to understand these advantages so they might be applied to medical care and training, the medical establishment has largely ignored diversity issues. Medical training, he said, is based on “a bunch of stereotypes” about immigrants or Latinos as unhealthy, rather than as sources for ideas about health. And public health programs often exclude undocumented immigrants and recent immigrants, even though their participation in the health system might make us all healthier. Kagawa-Singer, the UCLA medical anthropologist, said modern medicine doesn’t encourage doctors to listen to people from different cultures. And the U.S. system ends up dividing mental health and physical health, even though the experience of other cultures teaches us that mental and physical health are closely tied together. 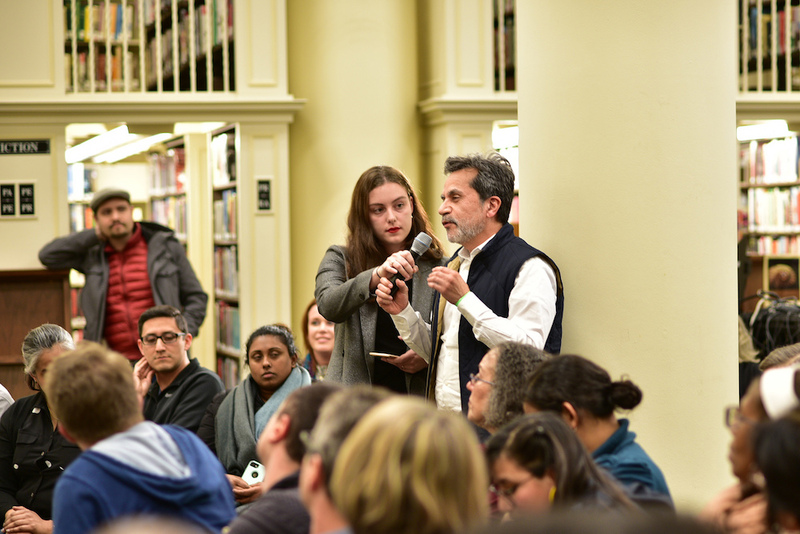 During a wide-ranging question-and-answer session, audience members posed queries about the history of immigrant health and whether immigrants might bring a more open attitude and less costly interventions to medical care at life’s end. Panelists also suggested that the experience of immigrants who come from countries with universal health care might inspire the embrace of “Medicare for all,” especially in California, where political leaders have supported the idea. In response to one query, panelists noted that immigrants may be healthier because people willing to leave their countries may be more adventurous and robust. Joe Mathews is the California and Innovation editor at Zócalo Public Square. 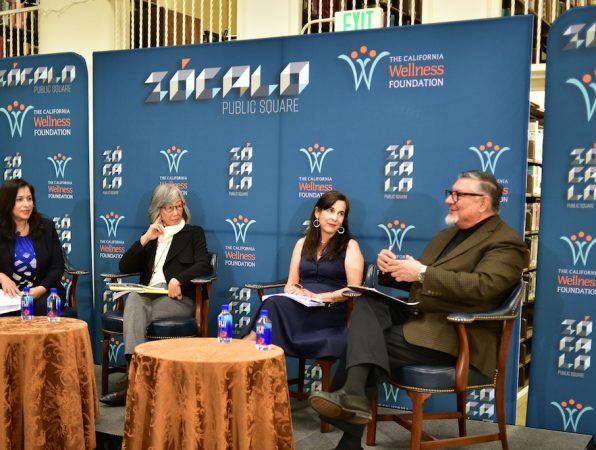 Claudia Kolker, author of The Immigrant Advantage, at Zócalo/The California Wellness Foundation in San Francisco. 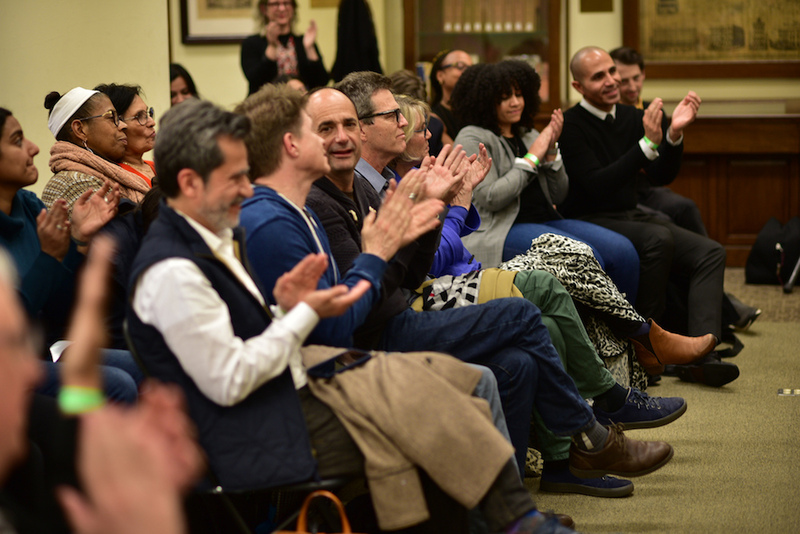 The audience at the Mechanics' Institute in San Francisco. 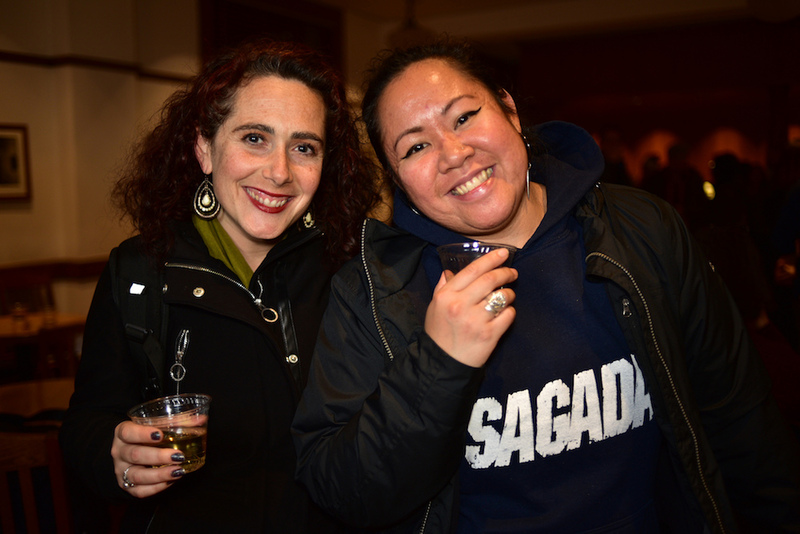 Guests enjoy the post-event reception. 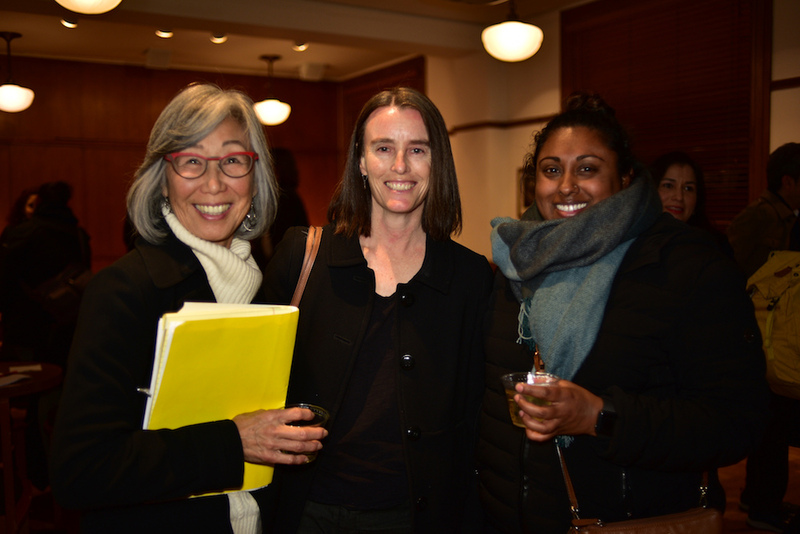 UCLA medical anthropologist Marjorie Kagawa-Singer with guests at the reception.